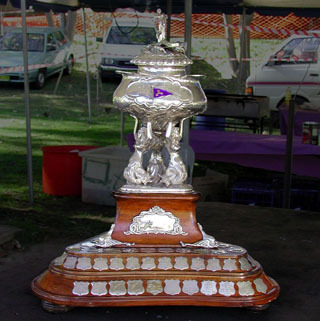 The EC Griffith Cup gets its name from the trophy’s donor, Earnest Charles Griffith, who, in 1910, presented a magnificent hand-beaten solid silver trophy for the Australasian Championship. The first race for the Cup was held over a course at Manly, NSW, and was won by Anthony Horden in Kangaroo, a single-step hydroplane with a top speed of 48km/h. 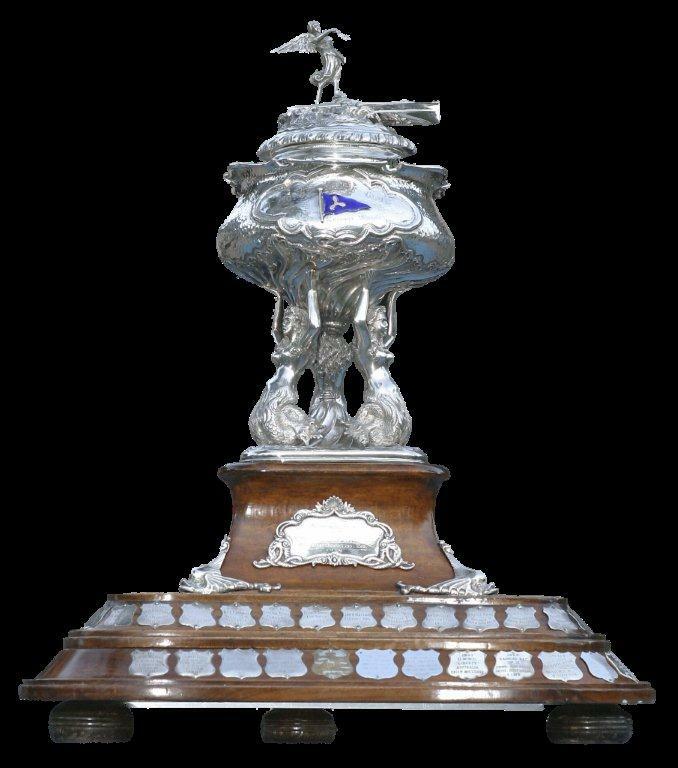 Racing for the EC Griffith Cup is dictated by a Deed of Gift; a set of rules put in place by the donor and subsequently modified over the years with the permission of the Griffith family to allow for the Australasian Motor Boat Championship, open to the inboard engine propeller driven boats of unrestricted hull design and unlimited engine capacity/modifications. 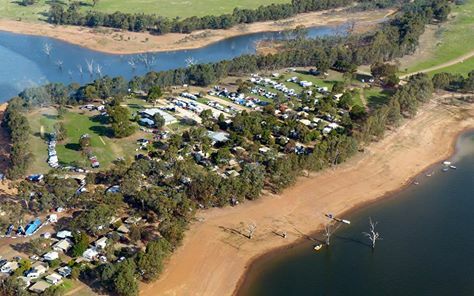 It is conducted under the jurisdiction of the Australian Power Boat Association and is annually conducted on the waters of last year's winner. 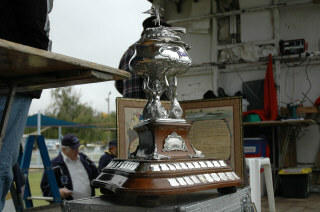 Today, the Cup has become the Australasian Powerboat Championship, open to boats from both sides of the Tasman. Boats can be of any design, so long as they are inboard and powered by a single automotive engine. There are no restrictions on the modifications allowed to the engine. It has been said that the EC Griffith Cup is the world’s second oldest motor sport trophy still being contested. Two World Wars and drought have seen the Cup cancelled from time to time. In the history of the Cup, only three Kiwis have been victorious in Australia – Len Southward, Peter Knight and Warwick Lupton. Similarly, only four Australians have won the Cup in New Zealand 2 of 4 times where VSBC members– Ernie Nunn, Dennis Parker, Greg Holland and Grant Harrison. The golden years of the Cup may well have been the 1970s, when the aero-engined V12 Rolls Royce Merlin-powered ‘thunderboats’ challenged their auto-engined rivals. When these enormously powerful boats were on song, they were too big, too powerful and too fast for their auto-engined counterparts. But the era of the thunderboats was out lived and the fleet only ever amounted to a handful of boats. Ultimately, the era of the thunderboat lasted until BAD's, KT's & GP's slowly took over & the thunder boat class slowly died out. Auto-engined boats ruled the sport & once more the high-powered domain of turbocharged or supercharged big-block engines in displacement or hydroplane hulls grow's stronger. "E.C. GRIFFITH CUP PAST WINNERS"